Did you know that the brand has a history that goes back far 1895, when in Bolton, England, was founded by J.W. Foster & Sons? 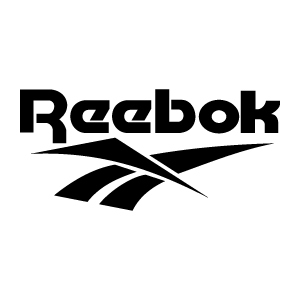 In 1958 the two owners, Joseph and Jeffrey Foster, changed its name to Reebok. The name was created by taking a cue from the pronunciation of the word Afrikaans-Dutch rhebok, a species of African antelope. In 1979, Reebok began to be sold in the United States, soon reaching such a success that in 1981 the company was forced to move part of production in South Korea becouse they were no longer able to meet the numbers required by the market only with the Bolton production. But in the '80s, there was also the most important step in the consolidation of the brand in the market of sneakers, given the incredible success born from the invention of models dedicated to aerobics and fitness, such as the Freestyle model. During the late 90s, thanks to some tactical moves, Reebok got to bring the name of the brand beside the most acclaimed personalities of the sport world. From then on, the company has focused its production on the collaboration with athletes that represent the international sport and fitness excellence.